Detail view of a Killball in Halo 4. Killballs are large, spherical, orange-colored objects that can be placed in Sandbox by Forge in Halo 3, and in the Forge modes of Halo: Reach, Halo 4, Halo 2: Anniversary and Halo 5: Guardians. Once spawned, they become static objects that kill everything on contact. Despite the generic title and description, the Killball does not simply kill everything it touches, or everything that touches it rather as the Killball rarely moves. These descriptions are not completely false as the Killball kills almost everything it comes in contact with. These things include players, vehicles and most equipment. Even the brief moment of invincibility as an overshield charges up also fails to withstand the Killball. In general, all weapons can be safely fired through the Killball with no need to worry about adverse effects. Testing in particular on Human projectile and Covenant energy weapons has shown no effects on the projectiles. Brute Shots and Needlers also work fine through the Killball. Fuel Rod Guns also work fine as does the Flamethrower. The weapons that do not work are the Rocket Launcher and Missile Pod as well as all grenades. All of these weapons however can be fired into the Killball and be expected to work. It is only when they attempt to leave the radius of the sphere are they destroyed with the effects that one would expect if they hit something. For example, rockets will explode with splash damage onto the other side. Perhaps the most interesting property of the Killball is its inability to affect a Bubble Shield's functionality. While all other equipment explode on impact, the bubble shield can safely enter the Killball and will be deployed. The bubble also negates the effects of the Killball and so it is possible to stand inside the Killball so long as there is a bubble shield active . 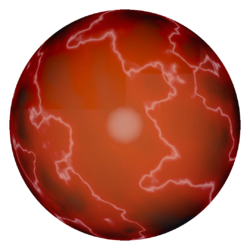 This effect can be used to reach the 'core' of the Killball which is in fact, a solid object. The Killball works like a multitude of other objects in Halo 3 by means of a 'line-of-sight' The same way that a Power Drain or Flare have their effects canceled on the other side of a physical barrier, so too is the Killball. But unlike the Power Drain or Flare, the Killball is a very large object and so the thickness of the shielding material matters. As a general rule of thumb, there needs to be at least 1.5 Forge Grid Squares (in other words, about one diagonally) between the center of the Killball and the outer edge of the blocking material. The blocking material can be anything that normally blocks other effects such as Walls and Shield Doors. It should be noted however that the 1.5fgs of blocking space is only necessary when one enters the radius of the Killball. Once a player has passed the barrier, any degree of blocking is sufficient to prevent death. It is only upon entering and exiting the surface that the rule applies. Attempting to use a Bubble Shield to enter the radius of an insufficiently blocked Killball should be done with caution. While the Bubble Shield will grant entry, if one is still within the Bubble Shield as it expires, one will be killed. If one leaves the Bubble Shield and is still within the radius of the Killball, the Killball will not kill the user until they attempt to leave the area or pass in front of an unblocked region. A blocked Killball has the same destructive effect on equipment and explosives. An easy way to block off a Killball is to simply place it into 1 or 2 stacked tube pieces, this completely blocks off the core and its killing effects. If, by any means, you enter a Kill Ball, and stay in it without having even part of a limb out, the whole screen will appear white, and if you look on the floor the only non-white area will be your shadow. If one enters a Kill Ball in Halo: Reach while you are invincible (making your health/damage resistance invincible), it will look like a blurring movie screen. Your player model will also endlessly grunt in pain and spout blood. Outside the Kill Ball the 'core' will look smooth. Inside, however, the Ball's core will look fuzzy. In Halo: Reach, if the player spawns a vehicle and a Kill Ball, then put the vehicle in the Kill Ball for a second then the vehicle's armament will disappear. For more information, see Turretless vehicle glitch. A Killball on Sandbox in Halo 3.